Control Room - Queen's Hall. The home of the performing arts community. 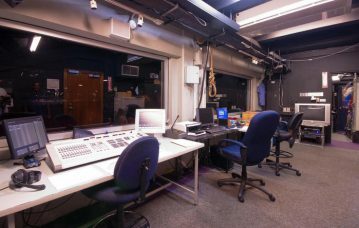 The Control Room is the room where lighting and audio technicians are positioned to control and monitor the equipment used during productions or events that are held in the Auditorium. On the audio side it is equipped with a Sound Craft Vi6 digital console with 96 channels and 32 auxiliaries. The Lighting end is equipped with a GrandMa2 Full size & an ETC Expression3Console. 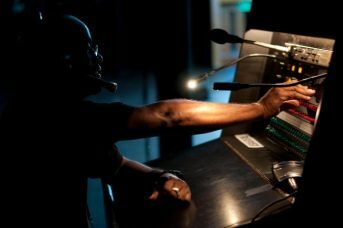 The Control Room is often the location of the production’s Stage Manager station. It is centered in the back of the House/Auditorium.